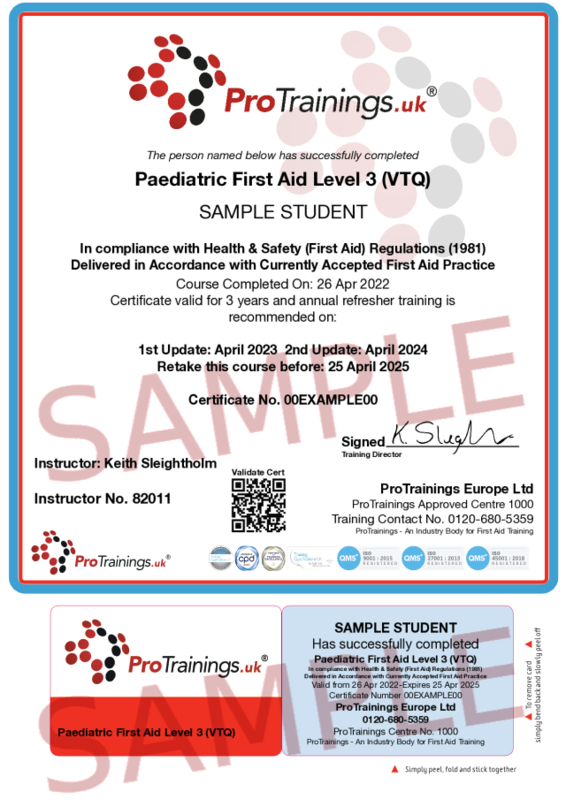 This course can be used as the online part of our 2 days Paediatric First Aid for childminders or a stand-alone online course is ideal for families and others who require a one-day course in first aid for adults, infants and children but do not need a course that meets the requirements of Ofsted or SureStart. The course covers life-saving skills but in an informal flexible timetable. The classroom version covers the basics of how to deal with accidents and illness that can arise when caring for children, for those who do not require a course for their work. 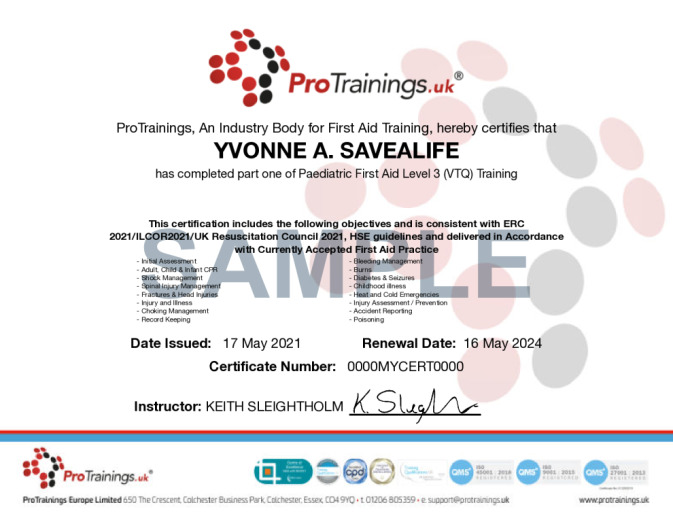 This course comes with 6.0 hours of CPD, although the time to complete the course online may be less than this. Total course time includes 5 hours and 48 minutes of video training as well as knowledge reviews, final test, remedial help and reviewing downloaded material.